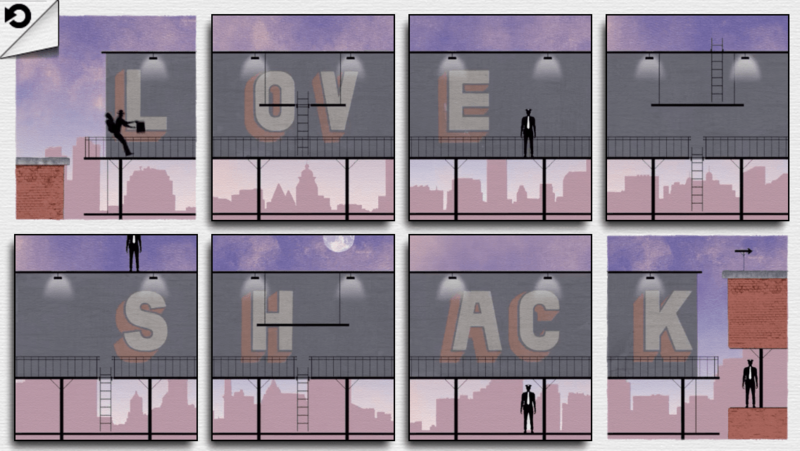 I’d been following the development of FRAMED by Loveshack for quite some time now, ever since I saw a little video of it. It’s definitely been one of my most-anticipated games in a long time. The concept behind FRAMED is a unique one. 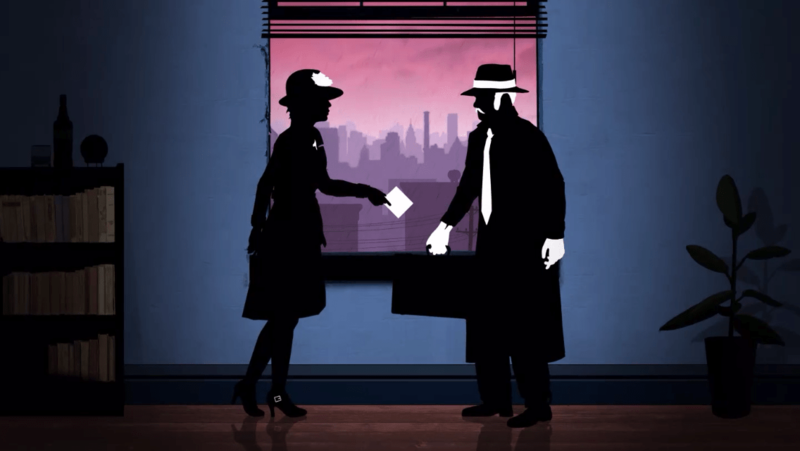 You play a part in a gorgeous noir-style comic strip. 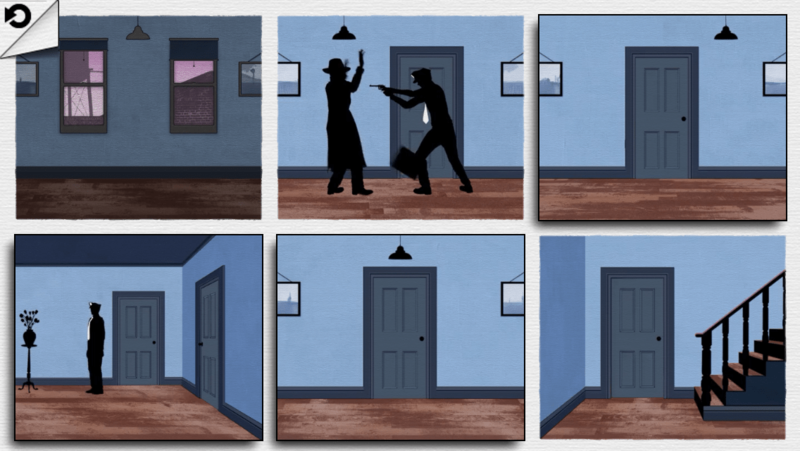 Each scene consists of several panels, some of which can be swapped around. Some can also be rotated. 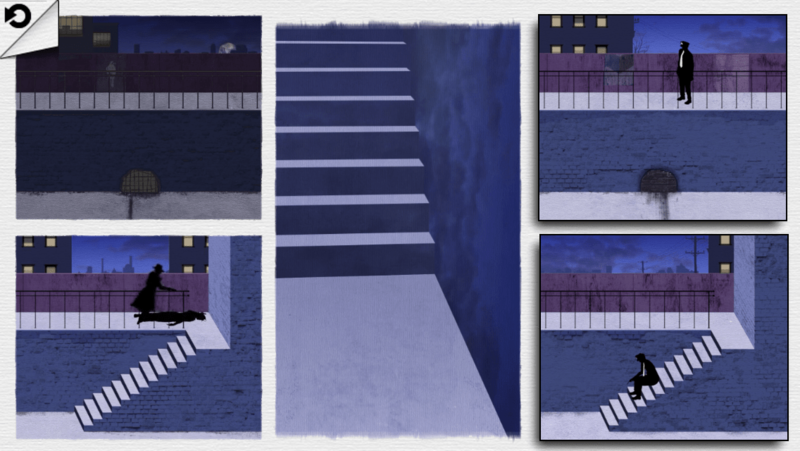 By changing the order of the panels, you change the outcome of the scene. Once you are satisfied with the order, you press “play” and watch the scene unfold. Later on, you’ll also have to swap some panels while the scene is already playing out, and that’s where it gets the trickiest. 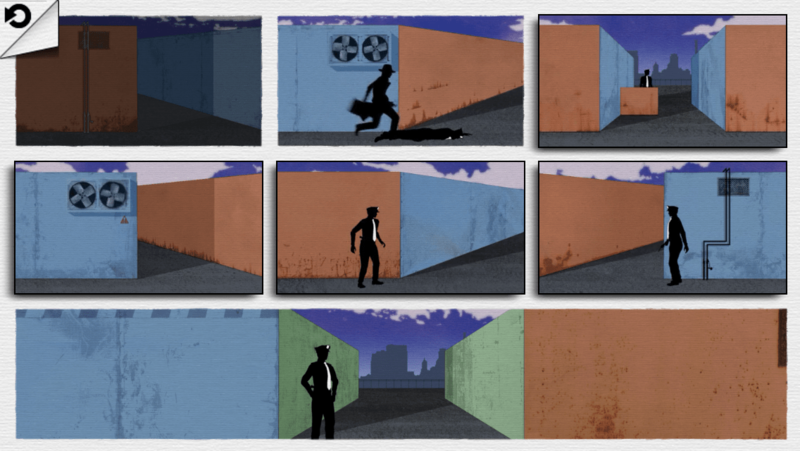 The objective in each scene is to make it to the last panel without being caught. You spend most of your time out-running the police and bopping them on the head when necessary. (I think the game may need a disclaimer stating, “We do not endorse hitting cops on the head with a briefcase.”) There are also several characters you end up controlling throughout the game, as they swap the briefcase that everyone seems to want. A big part of the game’s charm is the various outcomes a scene can have. It’s fun to play around and see what kind of deaths you can encounter. One of my favorites is making my character go face-first into a wall. Not every scene is a challenging puzzle. Some only give you two panels to swap, doing little more than offering interactive cutscenes. 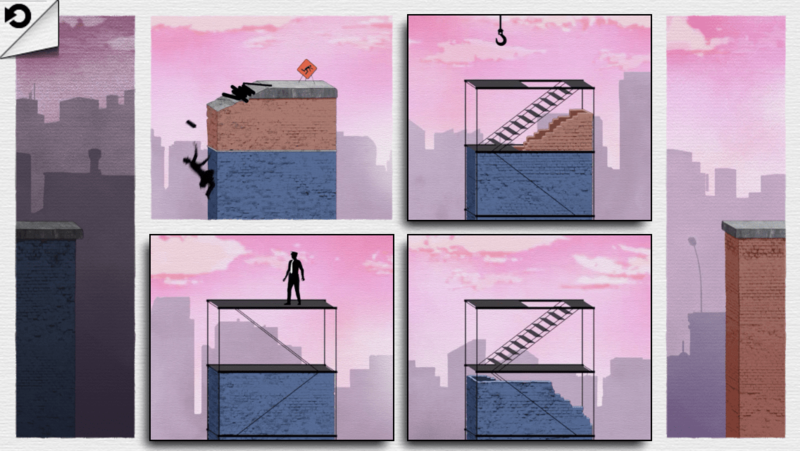 Some levels did have me stumped for a bit before I figured out the solution, and those were my favorite parts. Even though the game is a piece of art, it really shines when it takes full advantage of its puzzle mechanics. One thing that is both a positive and a negative, is that there’s no menu in the game, no start-up screen once you’re already in middle of it. When you open the app, the game instantly picks up where you left off. You have no options to go back and replay scenes or even to turn off the music (not sure why you would, though). I loved the fact that I never had to wait for the game to open, but I would like to be able to go back and replay any levels that I’ve completed. There are no words in FRAMED, and I liked that aspect of it. Personally, I found the story a little bit hard to follow, but mostly because I was paying more attention to the puzzles. This is another reason I’d love to be able to re-play specific levels, so I can watch any story bits I may have missed. 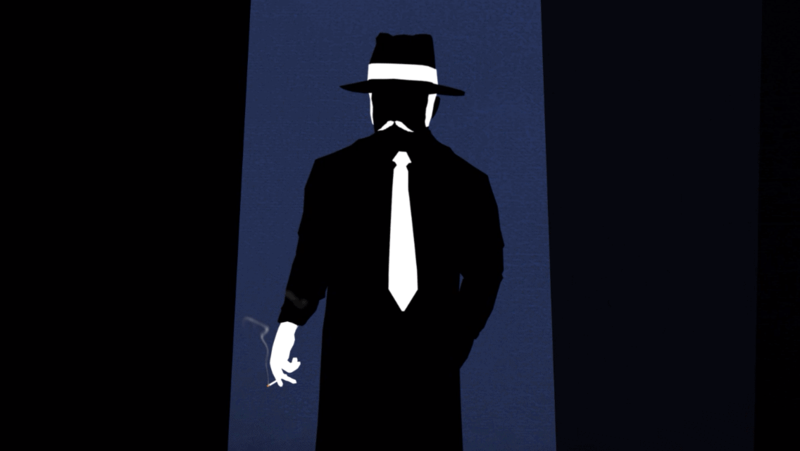 Like Monument Valley, another incredibly unique game, I wouldn’t mind seeing more of FRAMED. I recommend sipping it like a fine wine, rather than guzzling it like a cheap beer. Don’t rush through it, because you’ll be sad when it’s over. If you’re already playing the game and need some help, try my complete FRAMED walkthrough. I want MUCH MORE OF Monument Valley!!!! I NEED more Monument Valley!!!! I actually was going to buy AZZL last week but decided on SPL-T instead (which I can’t stop playing). Nice to know it’s similar to FRAMED. I actually found the REBUS puzzles annoying a lot of the time (illogical), so I was a bit hesitant to try it. But maybe I’ll pick it up when I have some free time. Thanks for letting me know! Yeah, it looks cute but I’m not *dying* to play it ahead of all the other games in my backlog.